These slinky metallic pants caught our eye and for a good reason! They incorporate a few trends of the season all in one killer look. First, they fit perfectly with the pajama-inspired dressing we've seen on the runway and on the streets. They are also metallic which is going to be huge for fall thanks to designers like Gucci. 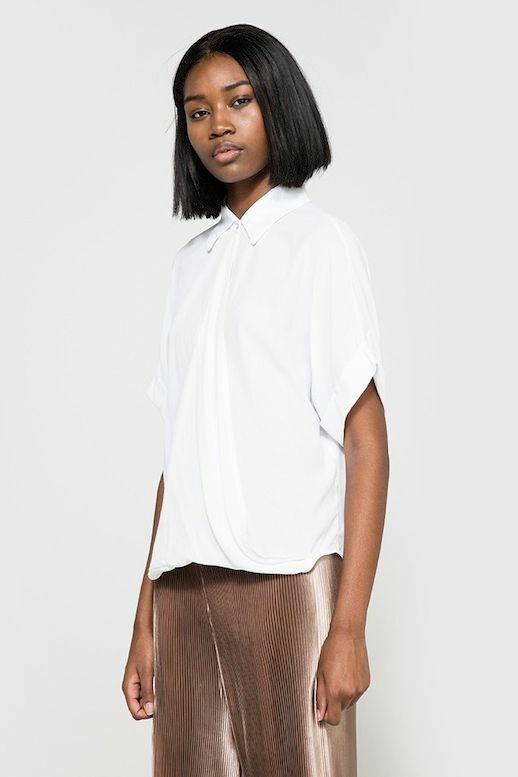 Lastly, they have micro-pleats which we are seeing more and more as new collections are rolling out. Just pair with a basic top and your favorite flats, ankle boots or even sneakers. Did we mention they are under $100?